Mobile Duress Systems. Protrac iD Active long range RFID systems. 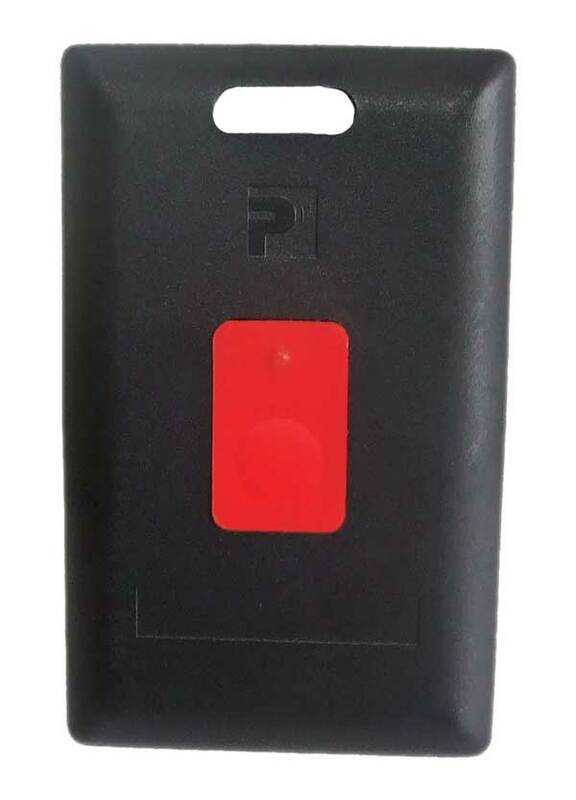 The Protrac iD Mobile Duress systems series tags are ultra long-range RFID tracking tags with an inbuilt membrane switch for manual call functions such as emergency call, duress and machinery stop. The Protrac iD Mobile Duress Systems tags are ultra long-range RFID tracking tags with an inbuilt membrane switch for manual call functions such as emergency call, duress and machinery stop. Options available include man down sensors and motion sensors which prolongs the battery life. The tags are attached using standard ID card straps or lanyards. Tags have a standard CR80 ID card footprint for attaching a photo ID. All models are available with inbuilt MIFARE, HID prox or HID i-class electronics making a personal photo ID, access control, tracking and emergency call transmitter all in the one “credit card” sized credential. For any more information on our mobile duress systems, please get in touch.